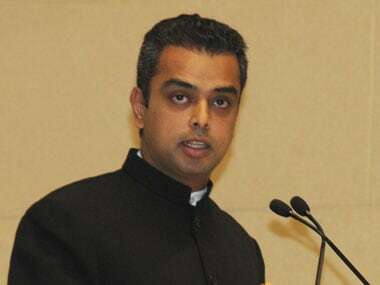 The Congress on Monday handed over the command of its Mumbai unit to second-generation leader Milind Deora replacing Sanjay Nirupam. While Deora is to contest the upcoming Lok Sabha elections from the South Mumbai seat, Nirupam — who in 2014 contested from the Mumbai North seat and lost — will contest the parliamentary polls from the Mumbai North West seat. However, in Mumbai, the Congress is facing a major challenge of not just ensuring that it wins at least a couple of seats after the drubbing received in the last General Election, but also in keeping the cadre together with repeated reports of infighting emerging from the camp. But, it is believed, that was due to Nirupam's 'outsider' image and his "autocratic" style of working which was not liked by other senior leaders in the party. Thus, in this light, it won't be wrong to say that to keep the flock together before the crucial contest, Congress in a last-ditch attempt made Milind the regional in-charge while also giving in to Nirupam's demand to change his constituency. Deora is seen as close to Congress chief Rahul Gandhi. He was the Minister of State with the Ministry of Information Technology and Communications and MoS Shipping in the UPA-II government in 2011, while his father, Murli Deora, was a Union minister in UPA-I. Deora Jr was also one of the youngest members of the 15th Lok Sabha as he became an MP at the age of 27. But, it is not the political acumen of Deora that led the Grand Old Party to make this sudden change. The clamour for Nirupam's removal had been going on for quite some time now, which further intensified with Leader of Opposition Mallikarjun Kharge taking over as the party in-charge for Maharashtra in June 2018. The same year, a group of Congress leaders met Kharge demanding Nirupam’s removal. 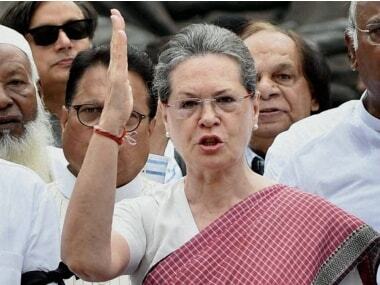 However, the rift came out in the open when Deora decided to take on Nirupam publicly, albeit in a veiled manner. In February, Deora, without naming Nirupam, had alleged that the Mumbai Congress had become “a cricket pitch of sectarian politics, with leaders pitted against one another” and even hinted at opting out of the Lok Sabha polls if the situation did not change, saying that the party is aware of his stance. Mounting another veiled offensive against Nirupam, Deora tweeted: "Congress is leading a powerful, united campaign across India. Infighting cannot, and should not, be allowed to threaten our base in Mumbai. I appeal to all Congress leaders in Mumbai to unite as a team. 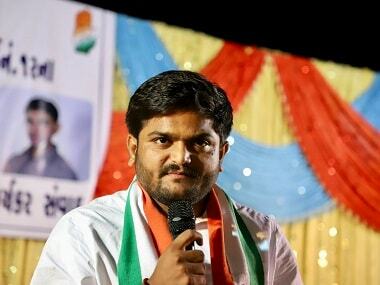 We owe this much to our party and to the Congress president Rahul Gandhi." Apart from Deora, other Congress leaders, such as former Maharashtra ministers Naseem Khan, Kripashankar Singh, former MP Eknath Gaikwad, and former Mumbai Congress president Janardan Chandurkar, also had repeatedly criticised Nirupam and demanded his ouster, forcing the All India Congress Committee (AICC) to seek a report on the matter. The anti-Nirupam camp had also raised strong objection over his plan to vacate his old Lok Sabha seat and contest from a neighbouring one. In February, Kharge once again held deliberations in this regard with leaders representing both the warring camps in Delhi. The four AICC secretaries appointed for Maharashtra were also consulted for feedback over the feud, The Indian Express reported. In fact, Nirupam himself was supposed to brief Rahul over the controversy. Nirupam — a former two-time Rajya Sabha member and ex-Shiv Sena leader — took charge of the Mumbai Regional Congress Committee in 2015. Later, in 2016, Rahul, during a visit to Mumbai, had warned the warring camps in to “get their act together”, the report said. However, nothing changed as such and the fight only became more prominent. Recently, in an interview to The Print, Nirupam had said that he knew he wasn’t the popular choice as the Mumbai Congress president, but that the party chief had given him the responsibility and that was all that mattered to him. 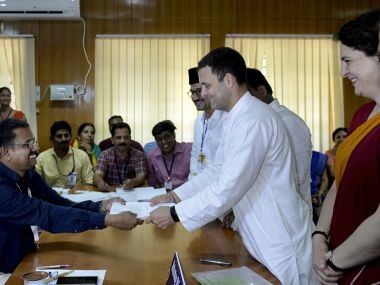 “In the entire country, I am probably the only such regional Congress president against whom multiple people have spoken, saying ‘Nirupam hatao (remove Nirupam)’,” he said. Earlier, former Mumbai Congress chief and late MP Gurudas Kamat had a public spat with Nirupam on social media after the party suffered a drubbing in the 2017 Mumbai civic polls. Even two-time MP Priya Dutt had expressed her displeasure about the working style of Nirupam and had earlier announced her decision to not contest the election, owing to personal reasons. However, Congress in its first list on Wednesday named Dutt as the candidate from the Mumbai North Central seat. Over the past month, Nirupam was reportedly seen trying to make amends — from speaking highly of Deora during Rahul's first Mumbai rally, to putting photographs with Priya on social media. But the move was too little, too late as the consensus against him had grown and his ouster was imminent in the wake of other top leaders threatening to abandon the party in the election fray. Mumbai, which is also the city where the Indian National Congress (INC) was born, accounts for six of Maharashtra’s 48 Lok Sabha seats and was for long considered a stronghold of the Grand Old Party. 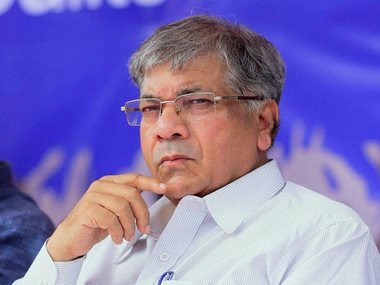 The Congress (along with the NCP) had swept all the six seats in the city in the 2009 Lok Sabha election before losing all six in the 2014 polls. 1Milind Deora replaces Sanjay Nirupam as Mumbai Congress chief: Will this end party's woes in the city?